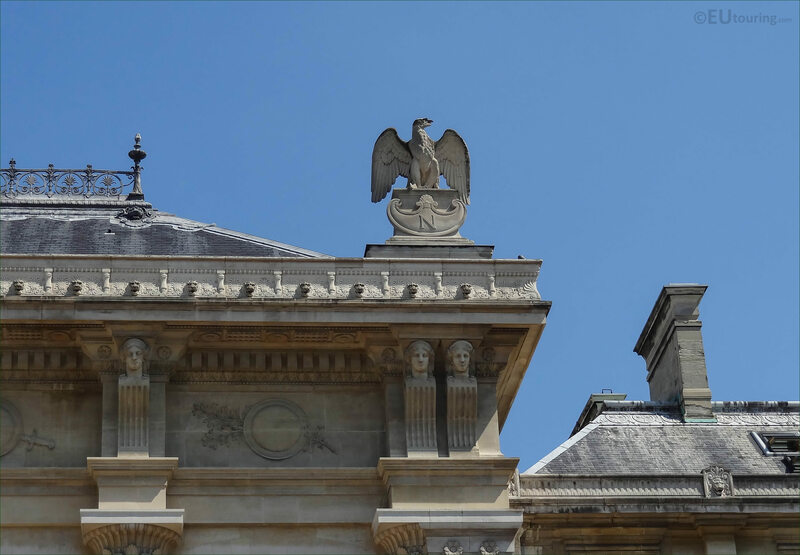 On a beautiful summers day with clear blue skies, we took these high definition photos of a statue of an eagle with the letter N below that represents Napoleon, and this particular statue is located on the Palais de Justice on the Ile de la Cite island in the 1st Arrondissement of Paris. 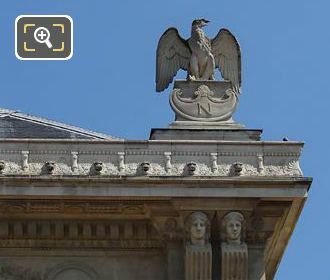 This first high definition photo shows one of the two imperial eagles that are positioned on the western facade of the historical building called the Palais de Justice, and in French this would be written as Aigle Imperial. Now here you can see the eagle located on the right hand side of the western facade of the Palais de Justice, which was actually rebuilt during the Second Empire by Joseph-Louis Duc who was born in 1802 and he was put in charge of the programme for two important constructions including the embellishments with different statues on the palace, even though the eagle is from the First Empire. 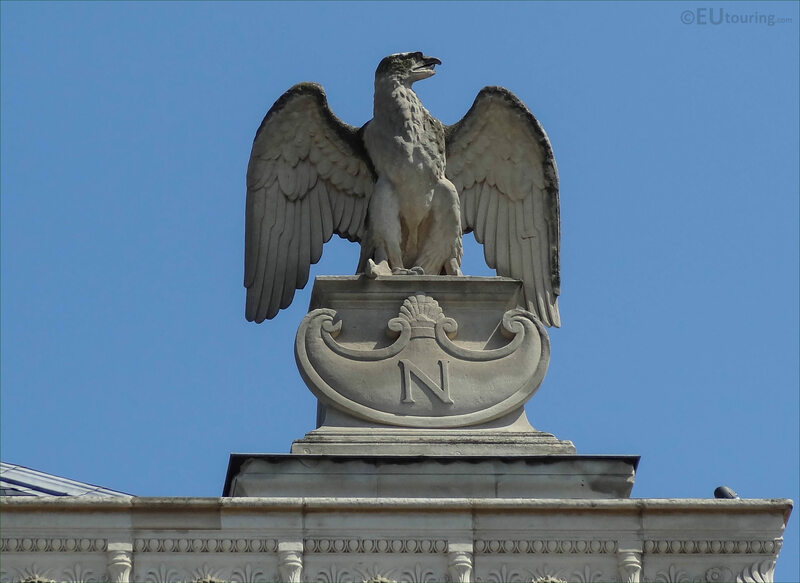 Many statues that adorned public buildings in France and Paris were actually destroyed after the fall of Napoleon, so it is quite rare to find original examples, and in this close up photo you can see not just the eagle, which is an emblem of the Empire, but also the letter N representing Napoleon. Now the two eagles on either side of the facade of the Palais de Justice were actually put in place during the First Empire when Napoleon Bonaparte was reigning and these are actually referred to as acroteria, which are basically architectural ornaments placed on a flat base called the acroter or plinth, and then these are mounted at the apex of the pediment of a building in a classical style.